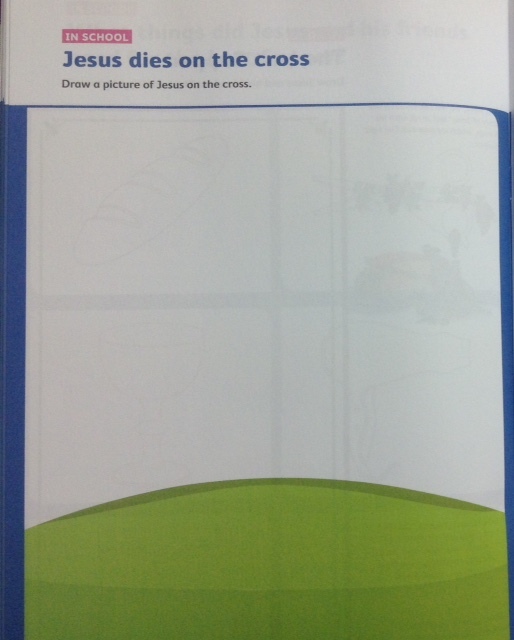 As primary schools open again, new teaching material for religious education in Catholic schools include images of the torture of a man and two young boys on a cross, as well as telling infants that a child-like Mary said yes to being impregnated by a visitor to her bedroom in the night, despite being confused and afraid. All of this can obviously be very disturbing for small children. For many parents, trying to opt their child out of religion in schools is a stressful time. Despite the Constitutional right to opt out, they soon find out that their child will still be evangelised into the Catholic faith. But Atheist Ireland has successfully helped many parents to opt their child out. You can get information here, including sample opt out letters to schools. Until we get an education system that respects human rights, opting out is only a part solution. There is no supervision outside the religion class, and children are not offered another subject. Minorities have no choice but to sit at the back of the class and listen, while children from Catholic families are being indoctrinated into the Catholic faith. However, even this part solution is worth exercising, as part of the overall campaign for secular schools. What is taught in religion classes is truly shocking to ethical secular parents. It is worth understanding what your child will be exposed to, so that you can try to counteract this at home. Children pick up everything, and even if they are opted out of religion they will be influenced by this teaching. 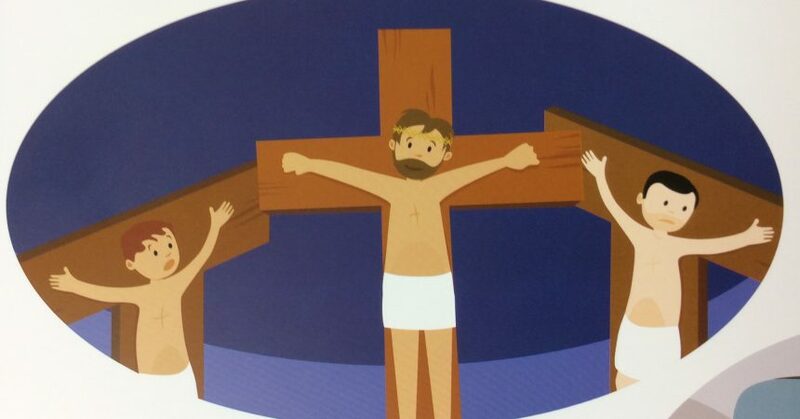 In publicly funded schools with a Catholic ethos (the vast majority), they can have posters in the classroom with young boys being crucified along with Jesus. 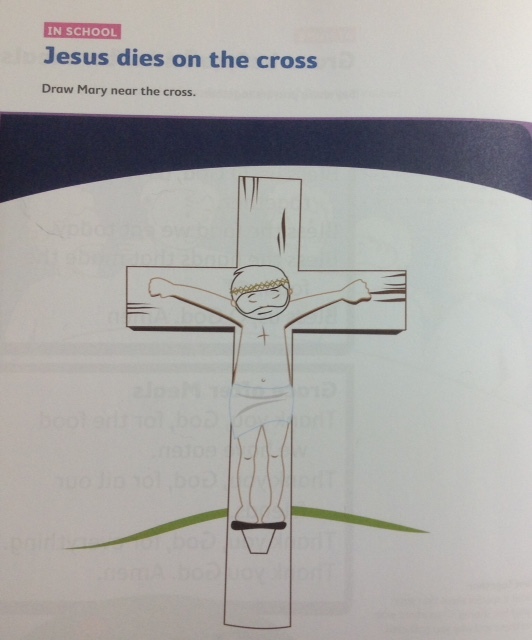 Children can be asked to colour in symbols of torture, and make a cross with lollipop sticks. 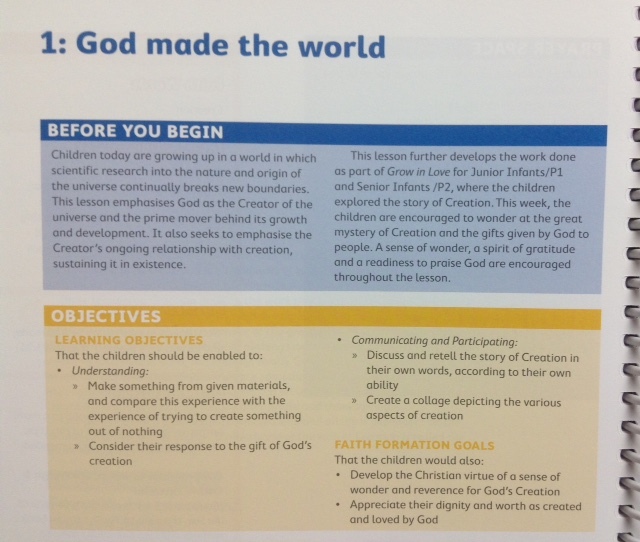 This is all part of the new Catholic religious education course called ‘Grow in Love’. If you are from a minority background, you may need to prepare your child to deal with these images of torture and this teaching. 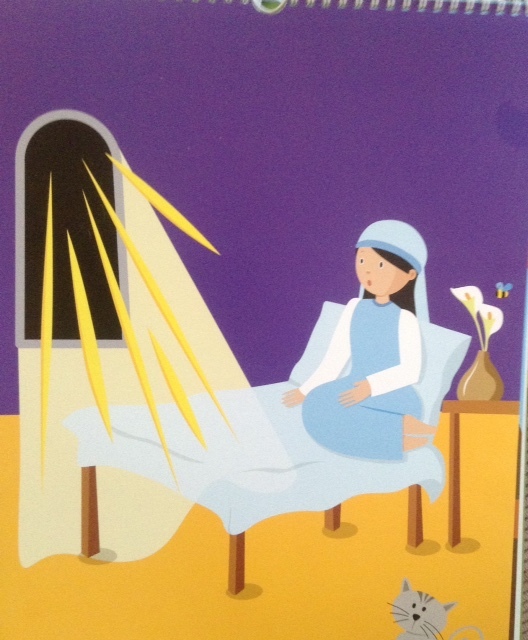 If the above is not bad enough, children will also be taught that ‘Mary says YES!’ Even though she was frightened and scared, she still said ‘YES!’ There is a poster for the classroom wall to go with this theme from the ‘Grow in Love’ course of a child sitting on a bed at nighttime, who is frightened. In the school book Mary is portrayed as a child, while Joseph is portrayed as a grown man with a beard. You can read more about that here. This is so disturbing that you might want to take some time off work to keep your child at home while this is being taught. The Archdiocese of Armagh has a video on their website, where you can actually see (at 00.40) children being taught that Mary was only a young girl: she was only fourteen and she said ‘YES!’ even though she was ‘so afraid’. The ‘Grow in Love’ book asks that Catholic parents chat about this to their children at home. In addition to the above, the ‘Grow in Love’ book outlines that God made the world and everything in it, and they teach Adam and Eve as a truth. The following is from the teachers manual, and the poster is of Adam and Eve. This can be hung in the classroom to show the first humans that their god made. Schools in Ireland are not legally obliged to write down their ethos, so minority parents are not aware of what exactly is being taught to their children. It is also worth noting that this teaching can be integrated into all subjects under the curriculum. For example in a nature or science class, children will be told that God made the world. Any Moral education will include teaching children to love and worship God, to develop Christian values, and to understand the teachings of the Magisterium (the Vatican sanctioned the course). 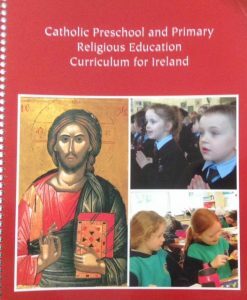 The new ‘Grow in Love’ religion course is part of the ‘Catholic Preschool and Primary Religious Education Curriculum for Ireland. The state assists the Catholic church by paying the salary of teachers and for their training, but it will not assist minorities to ensure that the teaching of their children is in conformity with their convictions. If you are an atheist or secularist or belong to a religious minority, you are on your own in this country, so being aware of what is being taught to your children is essential. Atheist Ireland will help you in any way that we can, so please contact us if you have any specific issues you want to discuss. Home schooling is not a valid option to release the state from its human rights obligations. 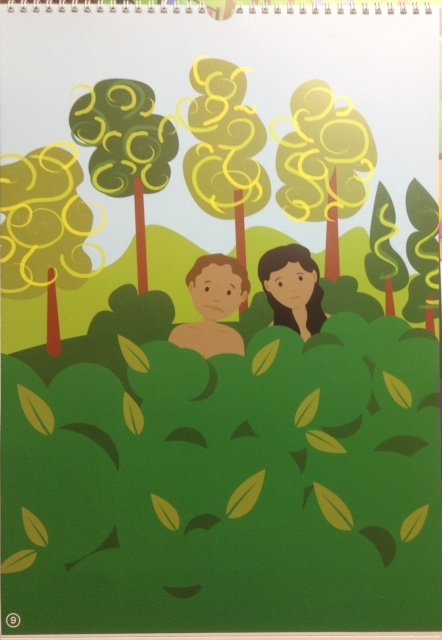 The picture of Adam and Eve depicts two Caucasian-looking individuals. As we know, Adam and Eve are supposed to actually be, or are a metaphor for, the first Homo sapiens on Earth. We know for a fact that the first Homo sapiens were black. Could a case be taken against the publishers of the book for being racist? They are deliberately obfuscating a proven scientific fact, and implying that when humans were created in God’s image they were certainly Caucasian and not black. Gareth, not really. If we start getting bogged down in the detail of, for example, what A and E are supposed to have looked like, we are perhaps looking as if we agree that they existed and missing the opportunity to educate about the origins of the human species. It would be like two atheists arguing about what colour God’s beard is in a bible picture book. A and E as described here did not exist as two proto humans making the human race and lurking in a bush in the garden of eden. They could say that races and languages only came about in the Tower of Babel story. First humans look like God. The Catholic Church is European. The “Mary Says Yes” material is deeply disturbing. I have some experience of working with victims of childhood abuse here in the UK: this material sends out very disturbing and conflicting messages and images to young children. 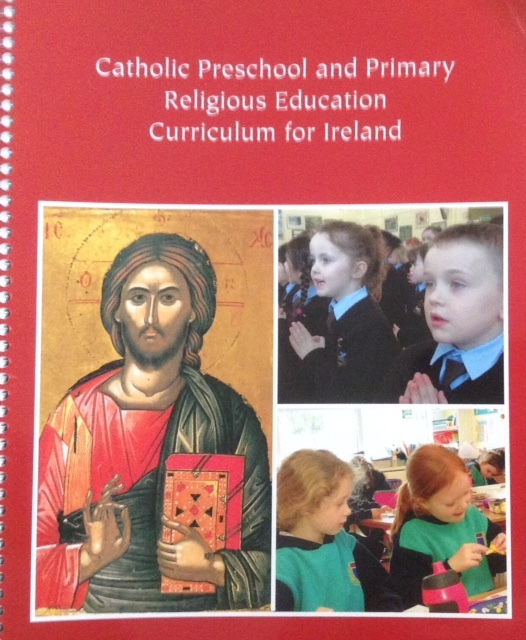 I would be horrified to see this being offered here as part of the catechists curriculum. I really hope your Education Boards reconsider allowing this to be offered. The issues around sexual consent are being discussed openly in the UK and USA at the moment. I refer to the Thames Valley Police’s new video “Tea and Consent”, and suggest that this be offered alongside this kind of material so that parents can judge just how damaging this educational resource really is.